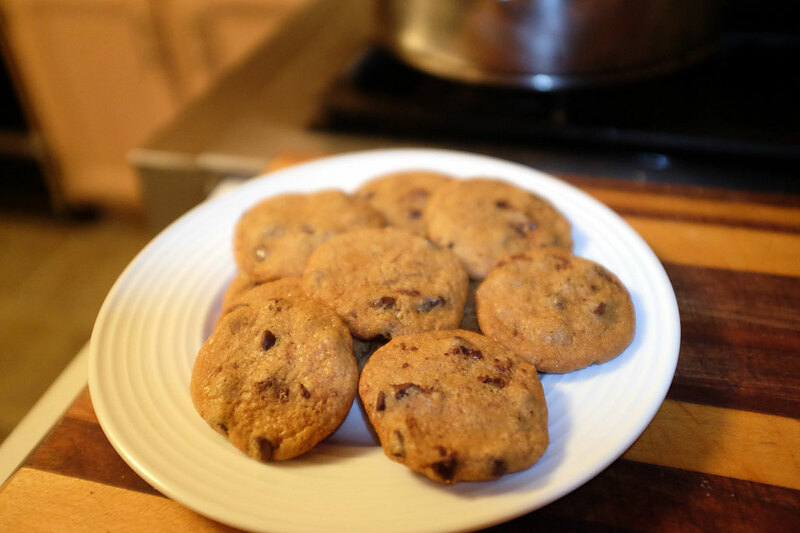 Home » RainyDayKitchen » Cookies from a microwave? We installed a new microwave oven in the RainyDayKitchen a few years ago, but it was only recently that we started using it for more than just reheating leftovers. While we knew that the Advantium oven can also bake and brown, we never “explored” those capabilities until now. 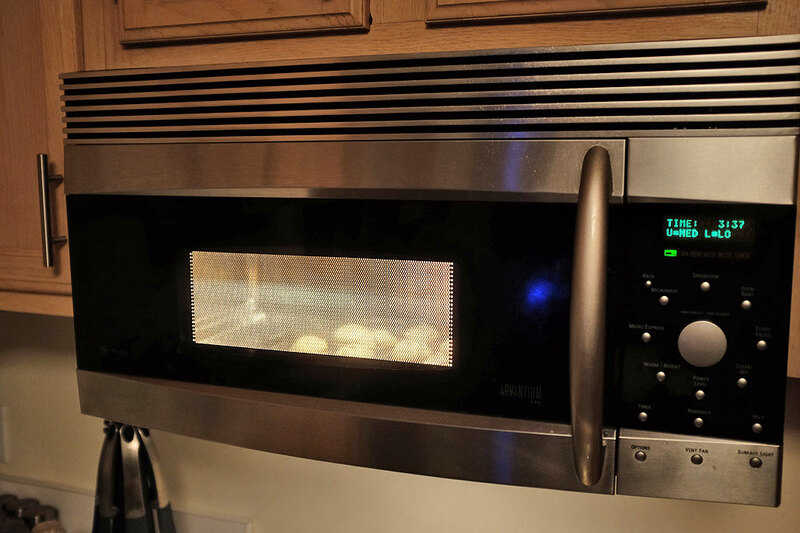 The baking feature is from a super bright halogen lamp (Yes…an adult version of the Easy Bake Oven). Using it is not the same as using a normal oven. There is no setting for temperature, just options for the power level and the amount of time time. So a bit of experimentation is required to get the “feel” of cooking with it. There are a bunch of pre-programmed functions for preparing the typical foods so we are not starting from scratch. We can now reheat pizza without turning them soggy. 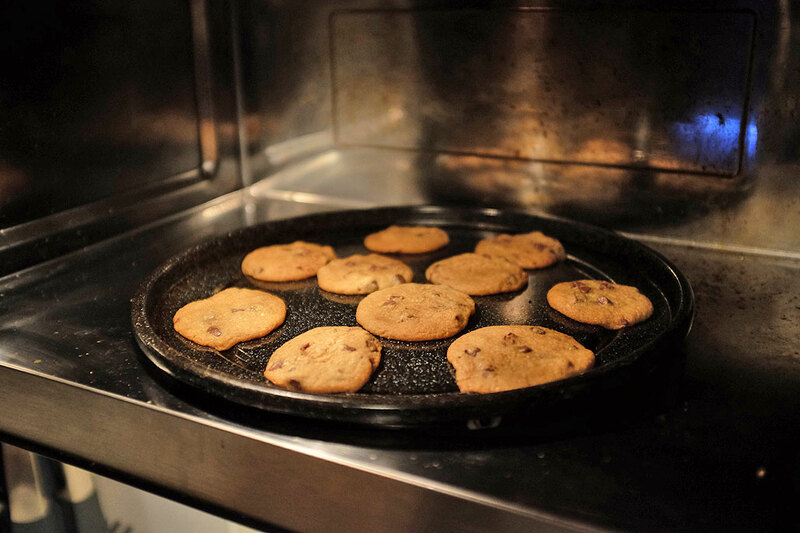 However, what is even better is we can now make small batches of fresh-baked cookies at will and in a little less than 10 minutes!